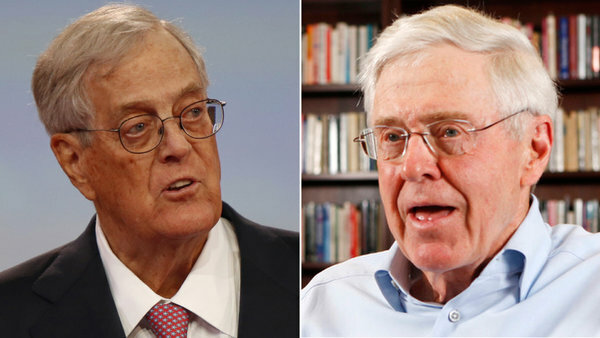 March 22, 2012- WASHINGTON — Anyone wondering why the ultra-conservative billionaire industrialist Koch brothers are trying to seize control of the libertarian Cato Institute might want to look toward Wisconsin. The Cato Institute is a Washington think tank with a long history of rigorous scholarship in the name of championing individual liberty. It's known for taking positions outside the conservative mainstream on issues like civil liberties, the war on drugs and U.S. militarism, regardless of the political consequences. 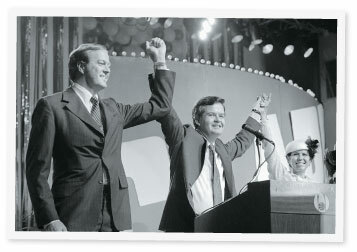 Charles and David Koch, by contrast, are all about winning. Their massive underwriting of bellicose Tea Party groups and super PACs appears to have three main goals: ousting President Barack Obama, busting unions, and reducing the tax and regulatory burden on companies like their own. In Wisconsin, the two brothers have a 501(c)(3) educational organization that, just like Cato, is allowed to accept tax-deductible contributions. And just like Cato, it’s only allowed to do so on condition that it not intervene in political campaigns. 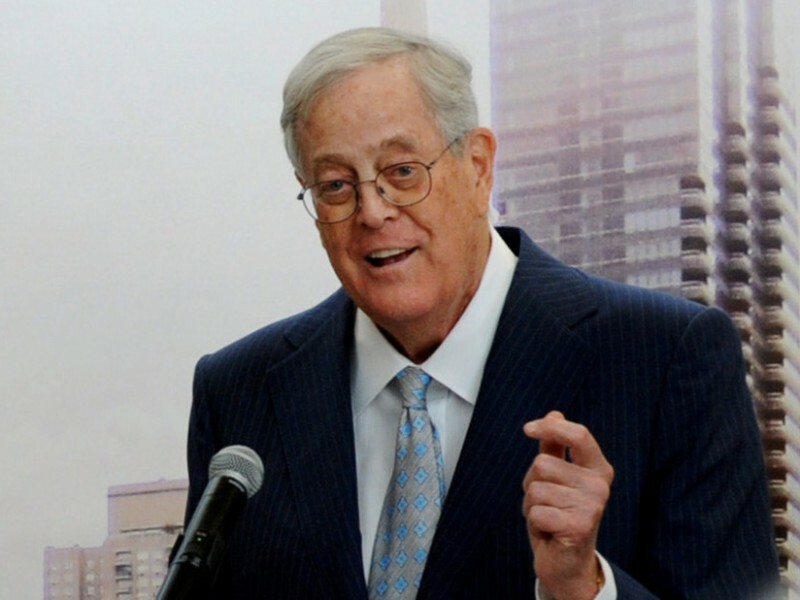 Rather than nurture libertarian eggheads, however, the Kochs' group — the Americans for Prosperity Foundation — just spent $700,000 in March alone on ads quite clearly intended to help union-busting Republican Wisconsin Gov. Scott Walker survive a recall. This political weaponizing of a charity is yet one more way that the owners of Koch Industries, one of the largest privately held companies in the world, are rewriting the rules of right-wing philanthropy in the post-Citizens United universe. So far, the biggest political story of the 2012 campaign has been how moneyed interests are using super PACs and nonprofits to spend unlimited amounts of money in favor of individual candidates — something that, prior to the Supreme Court's 2010 Citizens United decision, was considered corrupting and illegal. Those super PACs and nonprofits engaged in political activity are exempt from paying taxes themselves, but their donors are not allowed to write off their contributions as charitable gifts. Now the Kochs are taking things a step further. By operating such a group under section 501(c)(3) of the Internal Revenue Code, they have actually arranged for the government to subsidize the funneling of unlimited political contributions into barrages of campaign advertising. There’s not supposed to be a tax deduction for political ads. But for every $1 million the Kochs or their friends chip in to a 501(c)(3), the federal government pays them back as much as $350,000 in tax deductions (were any of them actually paying taxes at the highest marginal rate). "The thing that I think is different is that in the (c)(3) context, they're really taking money out of our pockets," said Donald Tobin, a law professor at Ohio State University and former tax lawyer at the Justice Department. "It's making all the taxpayers who don't want to support a particular candidate, in fact, support them," said University of Miami law professor Frances Hill. In theory, the Internal Revenue Service has "almost a zero tolerance" for political intervention by 501(c)(3)s — for just those reasons, Tobin said. But part of what may have prompted the Kochs' latest moves is that the IRS, at least so far, shows only the faintest signs of willingness to confront other politically sensitive issues that critics consider equally egregious. Top of that list is the abuse of 501(c)(4) status — intended for "social welfare" organizations — by overtly political groups in order to keep their donors' identities secret from the public. "I think that what's different here is a willingness to be very aggressive in terms of what's acceptable for your particular activity and a determination that you can get away with it because no one's going to enforce," Tobin said. "I suspect they think that by the time the IRS gets around to taking action, the election will be over," said Lisa Graves, executive director of the Center for Media and Democracy. "I think they're playing the odds in this dysfunctional regulatory environment."